Producing videos can be expensive, making it totally understandable for creatives to look for free resources in the internet. However, free stock video footage sites are not all they appear to be. There are some hidden risks that will cost you your money and reputation. That’s why downloading free videos is greatly discouraged. Fortunately, there are a number of websites that offer risk-free, high quality video clips. Free-Video-Footage.com. Are you looking for free royalty-free videos for your next creative project? This is the stock video site for you! Run by Stock Photo Now, FVF is one of the reputable royalty-free stock video sites in the industry. They have hundreds of assets in their collection, including video footage and other video resources in various categories and formats. All video clips are owned by the website or licensed directly to them. Free Video Footage is built as a way to give back to the creative community, who has supported Stock Photo Now and their products. No tricks – all video clips come with a royalty-free license, so you can use them for personal and commercial purposes. Run by experts, it is sure one of the free best stock footages sites today. Pixabay. Got no budget for your video production? 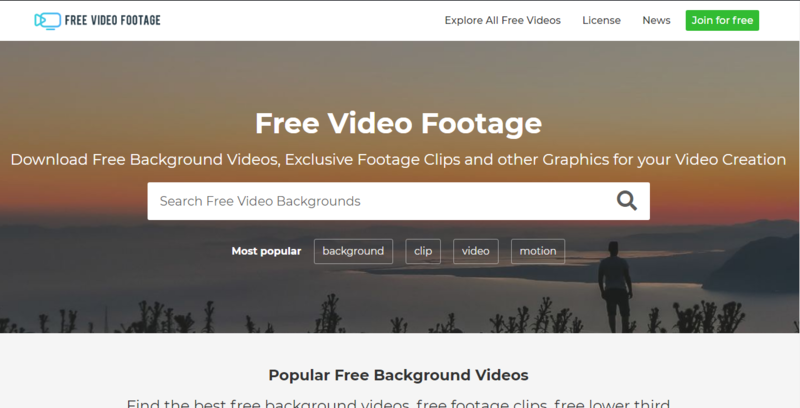 No worries, you can also get free stock video footage from Pixabay. The website offers both free footage and free stock photos. They have around 1.4 million royalty-free stock footage and royalty-free stock photos in their library, covering trendy and sought-after themes and topics. All assets come with creative commons license, which allows you to use royalty-free images and video content in commercial projects without attributions required. This can be risky, yes. But, Pixabay has a professional image reviewer who personally checks and greenlights the stock photography and videos online. This is a unique feature that makes the stock site a valid choice for your next creative project. Life of Vids. Another one of the best stock video footage sites, Life of Vids is founded and managed by LEEROY, a Canadian digital agency. Affiliated with Adobe Stock, they index content from AS and redirect you to their page if you want to buy them. So far, their collection consists of over 300 video clips. Their videos are uploaded on Vimeo and you can get them in high resolution there. All clips are donated to Public Domain, so you can use them for commercial purposes without attributions. But, Life Vids encourages you to link back to them. Public domain free footage is a bit risky, but they’re safer than Creative Commons. If you are looking for free video content for your commercial projects, these 3 are the best in the industry. You can download content from their libraries without worrying you get in a lot of trouble. But if you want to surely stay away from the copyright police, it’s best you download royalty-free stock footage from Free Video Footage. Their high quality collection come with royalty-free license that protects you against infringement issues. Are you looking for high quality stock music at simple, straightforward pricing? Shutterstock got it for you! From the latest hits to different genres, mood and tempo, the stock site has it all. Shutterstock Music was created in 2014 by one of the stock industry’s biggest players – Shutterstock. To date, it has millions of tracks in the library, so you never get stuck of choices regardless of what you need. All music are suitable for commercial uses, including movies and advertisements. They come with royalty free license as well as other licenses that allows for much bigger projects. Simple Pay per Use Fee. Shutterstock Music does not offer subscriptions. You purchase your tracks with a simple pay per use fee. In this way, you will never worry about unused downloads. You just get the music that you need one at a time. Great User Interface. With Shutterstock Music, it is easy to navigate throughout the website. Finding the track you need is also faster with the simple yet powerful search feature. You can spend more time creating a great video with great music. 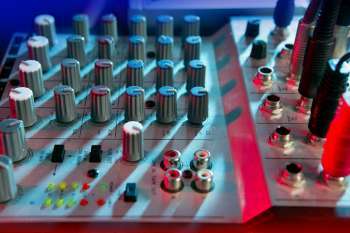 Shutterstock Music provide all tracks in 16bit WAV files in either 44 khz or 44.1 khz. It all depends on the track and how the contributor exported it. This means you will have no problem with compatibility as most of digital audio work stations and video editing software supports WAV files. Getting the best music for video can be a simple and pain-free task if you know where to look. Shutterstock Music can help boost your video popularity and its value. While there are a number of sites offering stock music, you can never go wrong with one of the biggest players in the stock industry. If you are looking for quality, functionality and compatibility, this is the best stock music source for you!